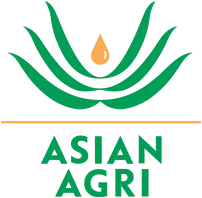 Asian Agri is Asian Agri is among Asia’s largest palm oil producers with an annual capacity of 1 million tons. 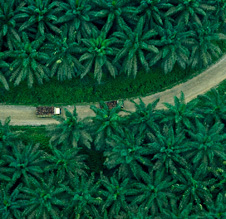 Palm oil is a versatile product with a variety of uses and Asian Agri believes it must be produced sustainably based on economic, social and environmental viability. Of its 160,000 hectares of palm oil plantations, 60,000 are developed under the Plasma scheme, a national level project supporting smallholders. Asian Agri partners with more than 30,000 smallholder families as well as independent smallholders, bringing about positive impact on their quality of life and economic development. Implementing a strict "no burn" policy and best practices in sustainable plantation management, Asian Agri has helped its smallholder partners to improve productivity, yield and supply chain traceability, while assisting them to obtain certification. Asian Agri is a member of the Roundtable on Sustainable Palm Oil (RSPO). It is also committed to protecting High Carbon Stock (HCS) and High Conservation Value (HCV) areas and to respecting the rights of communities, workers and smallholder farmers. Asian Agri mills are technologically advanced and energy self-sufficient, minimising greenhouse gas emissions. Five biogas power plants with methane capture technology produce energy for Asian Agri’s operations and neighbouring communities. The company aims to build 20 biogas plants that would generate 36 MW of electricity by 2020.